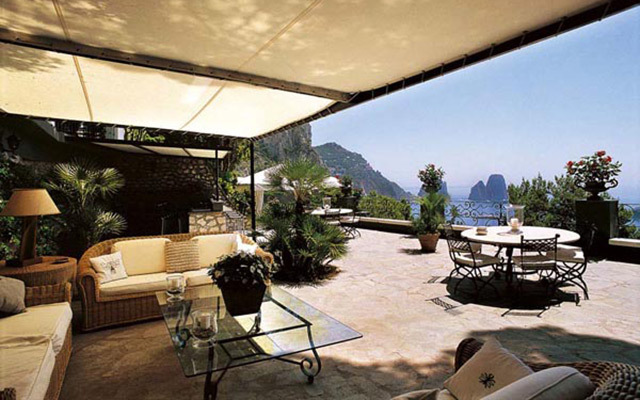 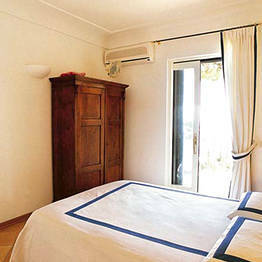 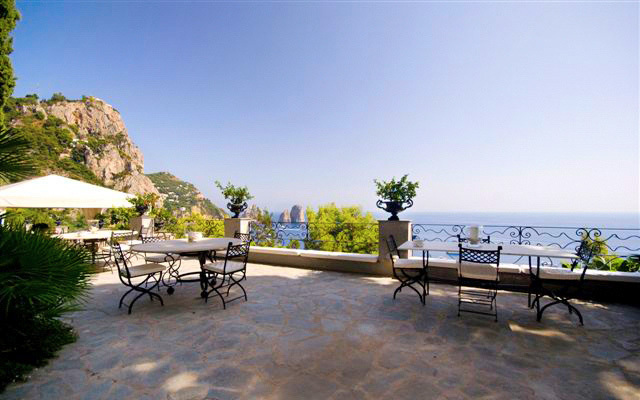 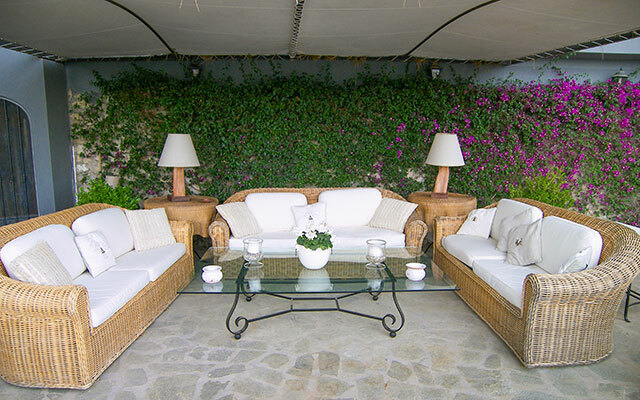 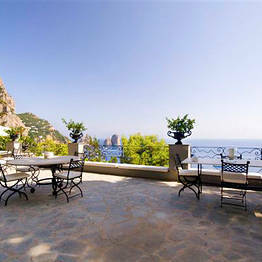 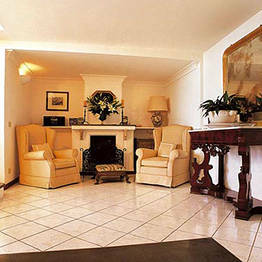 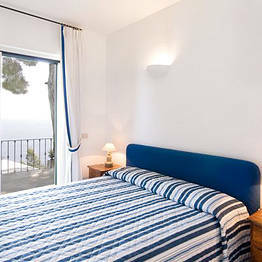 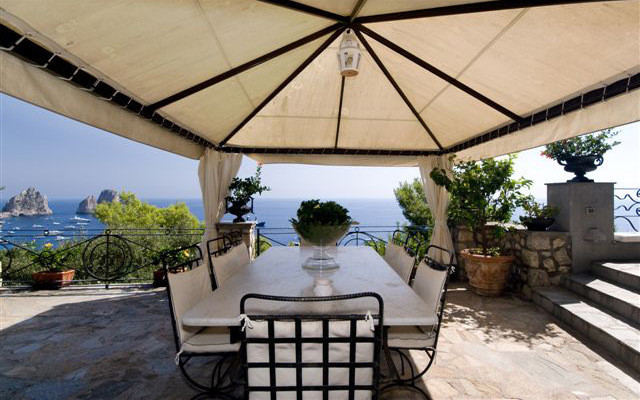 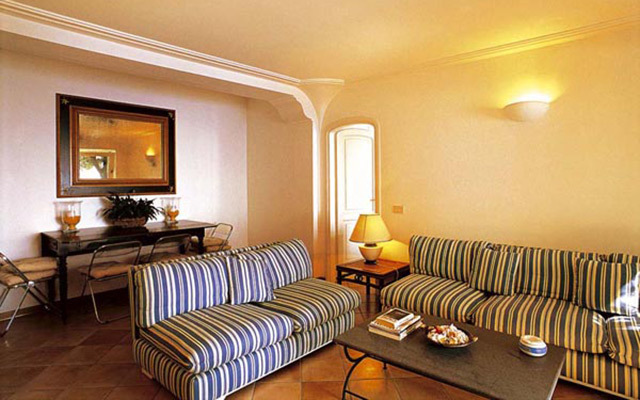 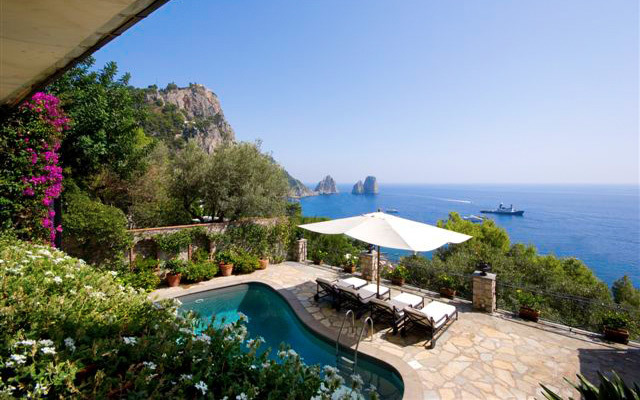 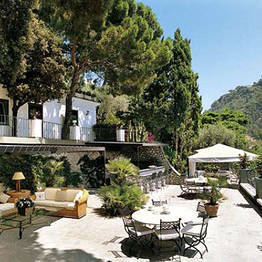 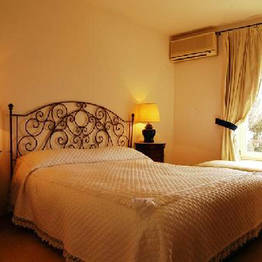 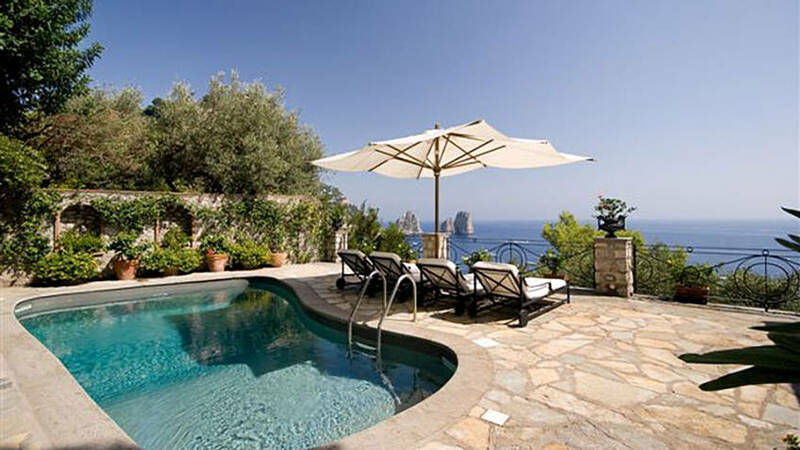 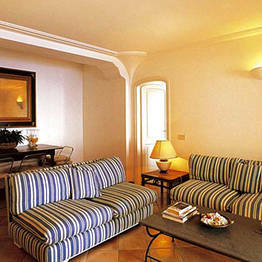 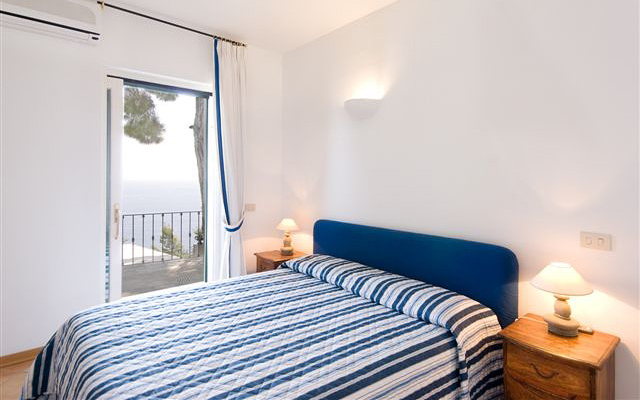 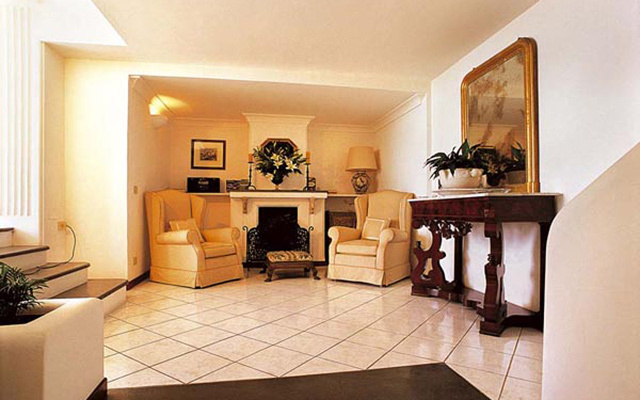 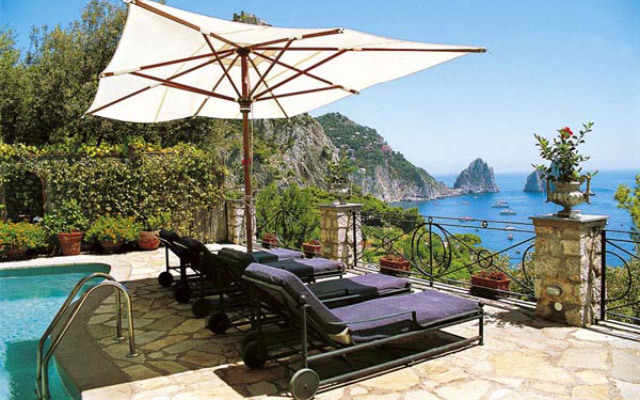 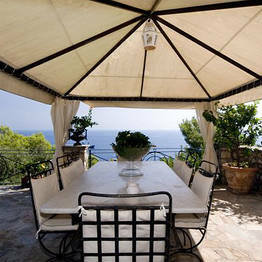 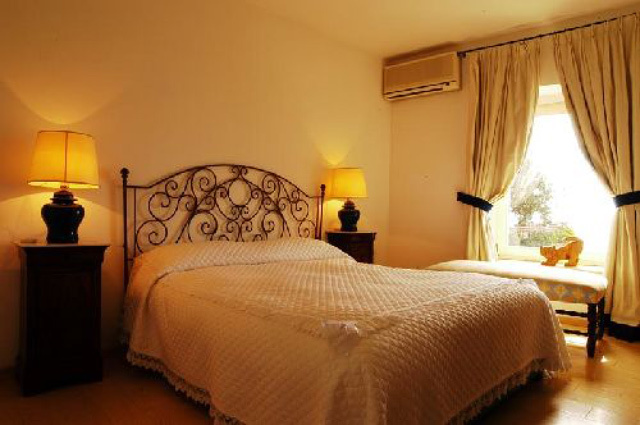 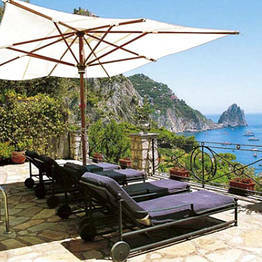 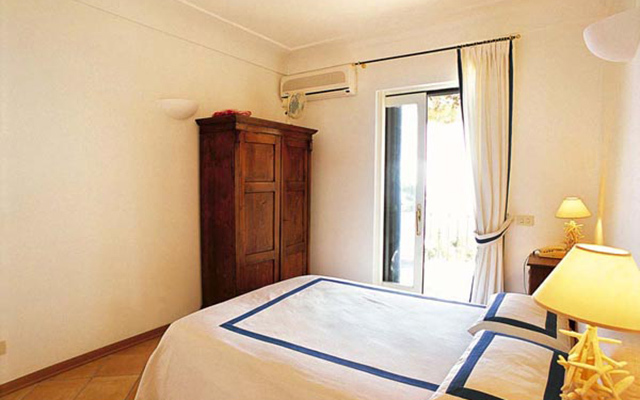 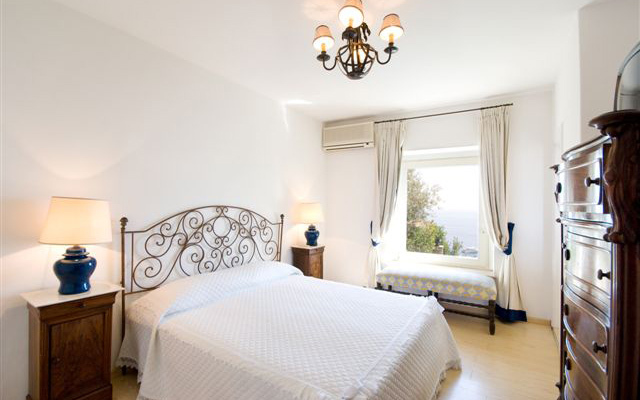 Villa Faraglioni Capri: 3 reasons to book here | Capri Booking. 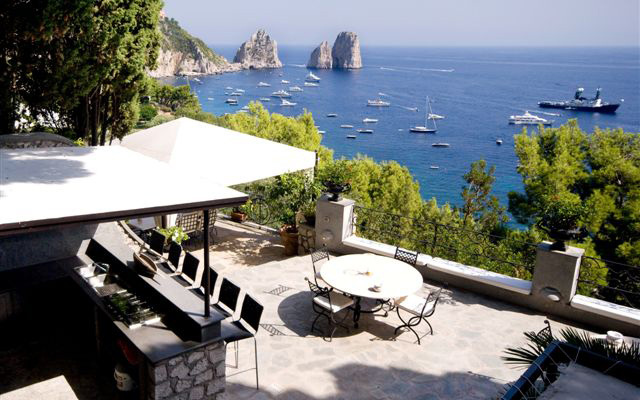 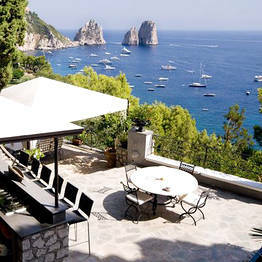 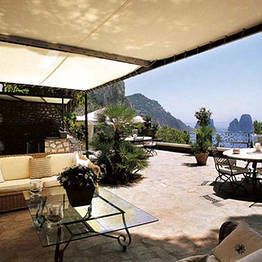 The Faraglioni and the sea washing the shores of Marina Piccola: if you're looking for a villa with a view on the island of Capri, you're going to love Villa Faraglioni. 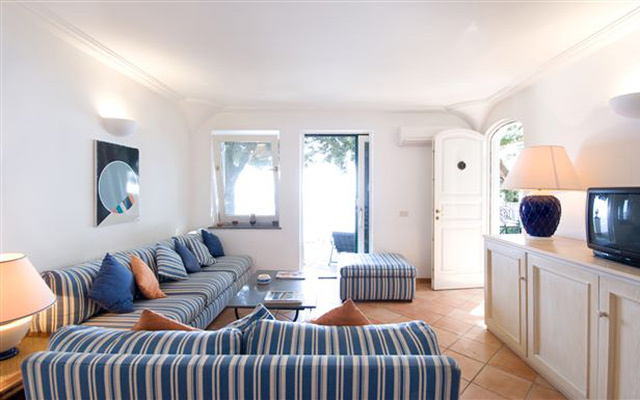 Comprised of two buildings united by a spectacular sea-view patio, Villa Faraglioni has a total of four bedrooms, each with its own private terrace overlooking the swimming pool and the Bay of Marina Piccola. 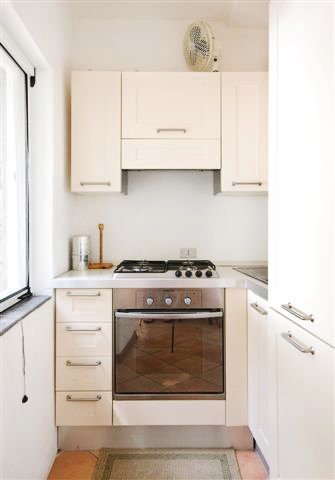 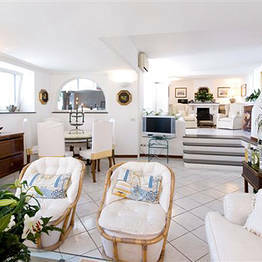 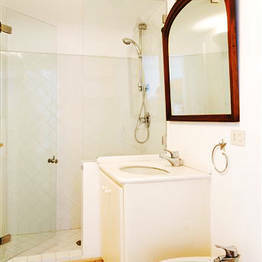 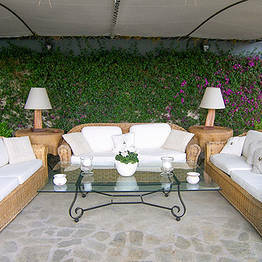 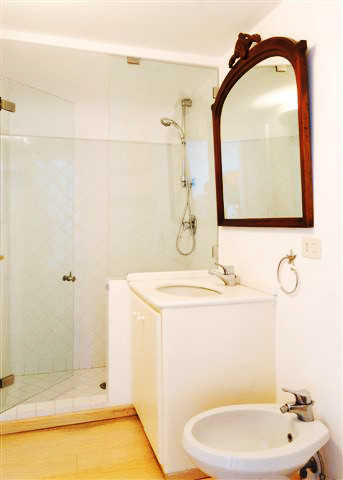 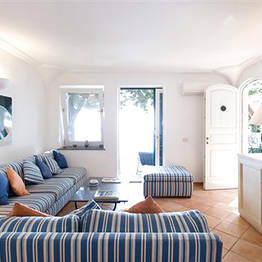 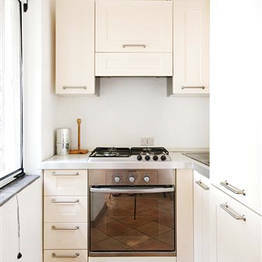 The villa has two, fully equipped kitchens which open onto a stylishly furnished outdoor living area with American bar. 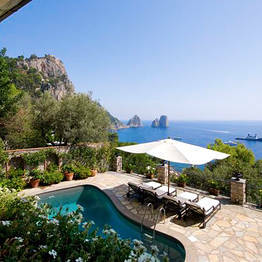 Nestled amidst the rocks overlooking the Faraglioni, Villa Faraglioni's pool with a view of Capri's famous sea stacks is one of the most beautiful places in which to swim and soak up the sun... in the world! 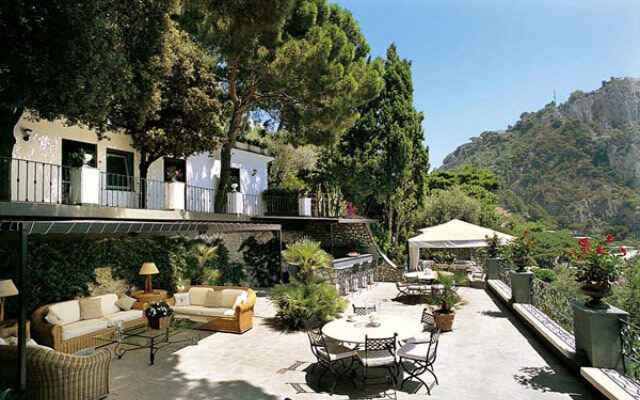 Villa Faraglioni is one of 21 prestigious properties belonging to Capri Villas collection of luxury holiday homes in Capri and Anacapri. 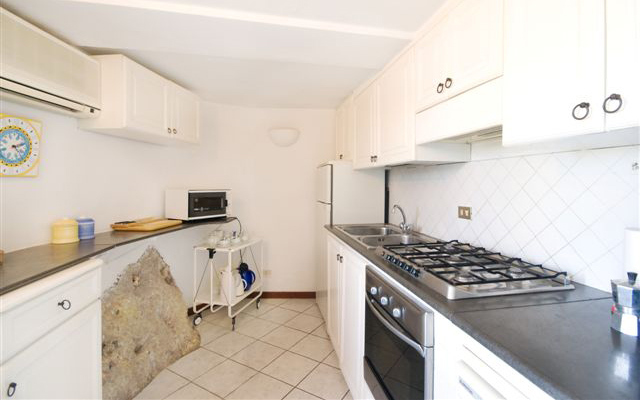 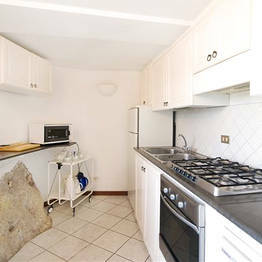 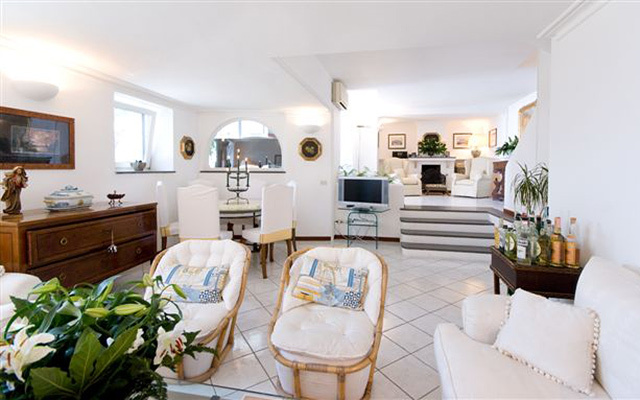 On the road which leads to the Bay of Marina Piccola, Villa Faraglioni lies within steps of the beach and is just a 5 minute walk away from the Piazzetta.